OpaVote is excited to announce a new feature that we call guaranteed email delivery. When doing online voting, it is extremely important that voters receive their ballots, and OpaVote now goes to the extreme to make this happen. This is necessarily a complicated topic so please read to the end to understand our guarantee. Pending -- OpaVote hasn't yet sent the email. Emails get sent at a rate of 2 per second so it may take a little time for all the emails to be sent. In Transit -- OpaVote has sent the email but the receiving mail server hasn't decided whether to accept it yet. Rejected -- This can mean one of three things: (i) the email bounced, (ii) the voter opted out of receiving emails, or (iii) the voter marked the email as spam. Delivered -- The receiving mail server accepted the email, and nearly all of the time, the email will reach the voter's inbox. An invalid email address (voter@gmail.cam). A disabled account for a valid email address (e.g., a full inbox). The receiving email server gets skittish and bounces the email as possible spam. We call this a skittish spam bounce. We can't do anything about the first two types of bounces, but we can do something about the last one. 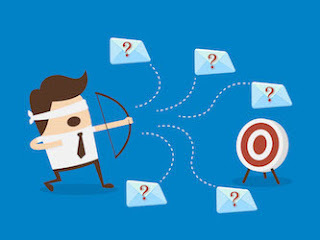 If the reason for a bouncing email includes any of the words graylist, blacklist, blocked, SpamAssassin, or spamcop, then the bounce likely falls into the third category, and we can take other actions to get this email delivered. Only applies to elections of $20 or more. Notify us if any of your voters has a bounce reason that is a skittish spam bounce. We'll put our backup measures into place to get the email delivered. As a last resort, I'll send a voting email from my personal gmail account. If this email is not received, then the voter email address is not capable of receiving email. In a nutshell, if a voter's email address is capable of receiving email, then we will get the email delivered!